Celeteque DermoScience Multi-benefit BB Cream | Vanity and Everything in Between. There's something about BB creams that I can't stop buying it whenever I see a brand I haven't tried. When I saw Celeteque's BB cream at Sample Room, I placed it on my virtual shopping cart pronto and checked out! I got to try this product for free! 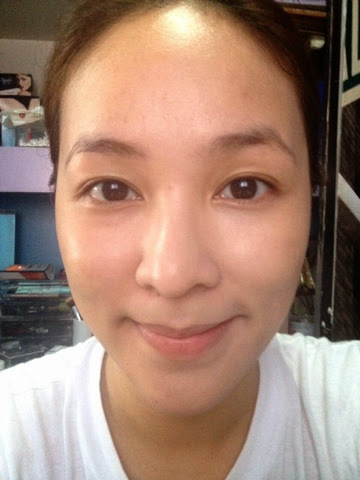 So, how did this BB cream fare? Find out after the jump! The packaging of this BB cream is reminiscent of Pond's BB cream. However, this one seems like it has more product inside than Pond's. During my lazy days, I grab my BB cream. I apply it easily with my fingers. BB creams are also my go-to product when I'm out of town. Honestly though, I didn't expect much with this BB cream. I thought it's just the usual BB cream that gives light coverage and a tinge of colour on your face. What surprised me a lot was the shade of this product! It comes in one shade only (Beige, I think). But when I applied it on my face, it gave my face a rosy glow. The shade is actually pinkish! This is a winner because I've been looking for a BB cream that has a pink/rosy shade. 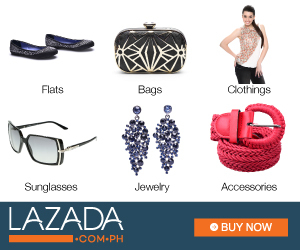 This shade gives instant glow to your skin without making your face appear too white. By this time, we all know too well how white your face could be with a BB cream. 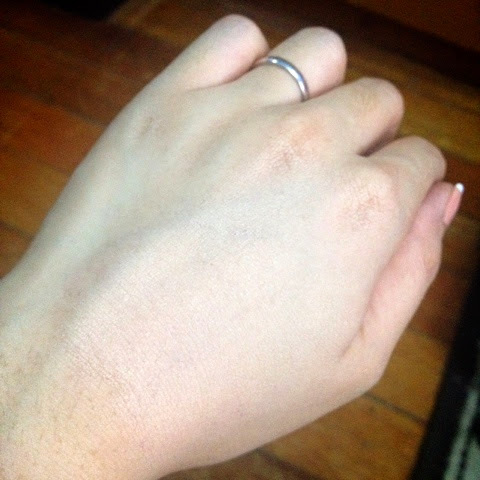 Celeteque BB cream at the back of my palm. Notice how it was able to cover some of my green veins and my scratch. on the left side of the face only (right side form your point of view). The left side of my face looks smooth/flawless without making it look too light. It was able to cover a bit of my eyebags. It wasn't able to conceal my pimple on my forehead completely though. 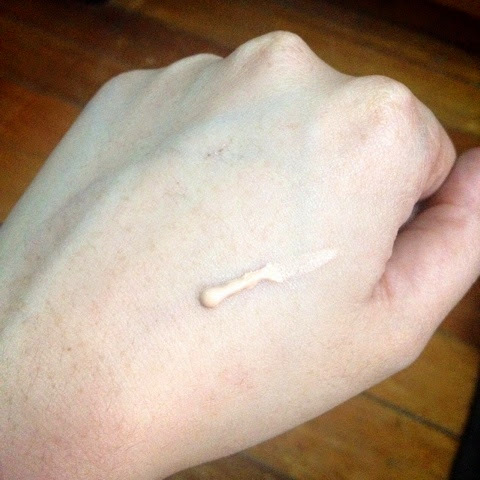 This BB cream gives light coverage even if you keep on layering it on your face. It stays on for at least 3 hours on my face until my T-zone starts to oil up. It doesn't have the ability to keep the oil at bay. If you're using this, make sure to have a compact setting powder with you or a blotting paper. You will need it! On the 12th hour of using this or by the time that I start to remove my makeup, the my tissue is not full of foundation as I expect it to have. At first, I thought I just didn't apply enough BB cream. But the residue was consistent every time I remove makeup. So I assume that the BB cream fades within the day or maybe on the 3rd or 4th hour of wearing this. 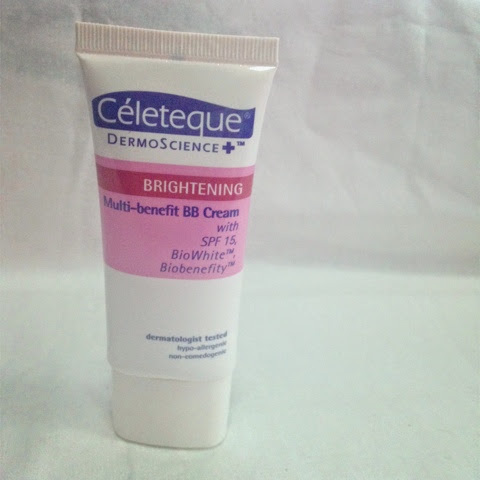 Celeteque BB cream retails for PhP349 and is widely available. The price is at par with other BB crams in the market. It is unlikely that you'll break out from this product. I didn't. However, I don't think I'll repurchase once I finish this as I am not satisfied with its longevity (or the lack thereof). 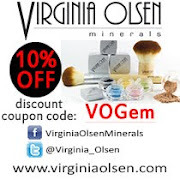 If you've tried this product, let me know if it works for you! Follow me! Yes? No? Yey! You look so blooming in the picture Ms. Gem! 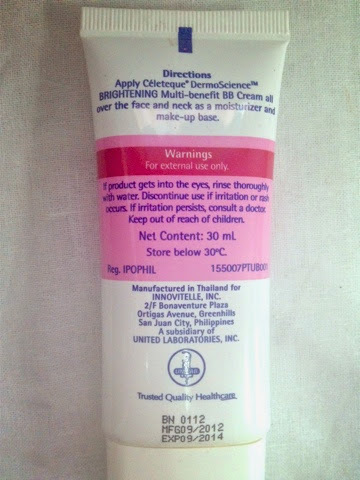 ;) I agree this gives a rosy glow on the face but I just use it for my under eye area na lang. I had breakouts with this :( The more days I used this, the more zits I have. The zits went away when I stopped using this. I love the effect on the skin but I just can't take that if it gives Sme breakouts.